"Best" means different things to different people. 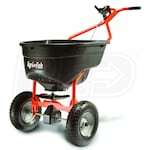 Some people are seeking the best-selling walk-behind spreader, while others are searching for the top-rated models. We've compiled walk-behind spreader lists sorted by top-rated, best-selling, and expert recommended. Defer to our experts' picks or take a cue from customer reviews. As long as you end up with a great walk-behind spreader, we're both happy. 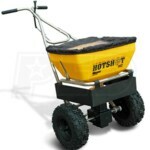 Best Walk-Behind Spreaders - View Our Top-Rated & Best-Selling Walk-Behind Spreaders. Our lawn mower how-to library can help you pick the perfect reel lawn mower, push lawn mower, riding lawn mower, zero turn lawn mower, lawn tool or lawn mower accessory.